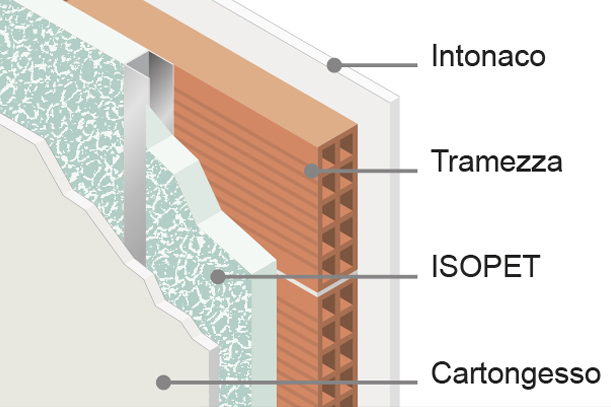 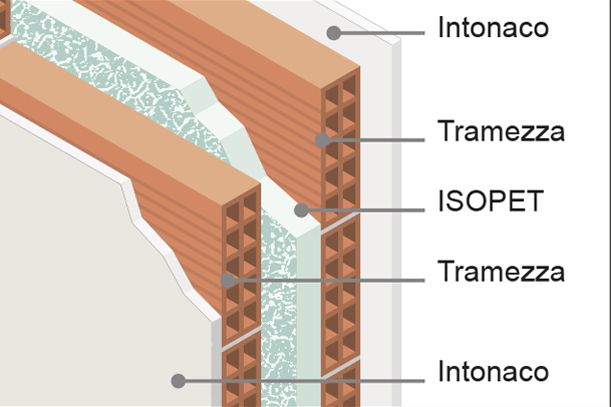 ISOPET is a new type of thermal-acoustic insulation system, composed of polyester fibre panels, specifically designed for the building trade and characterised by being primarily made using sorted urban waste recycled (PET bottles, i.e. 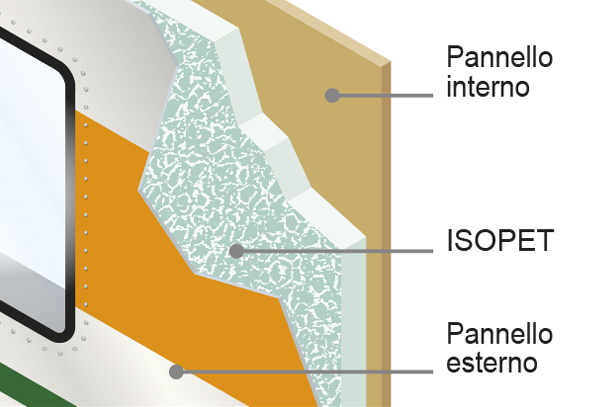 polyester) thus guaranteeing its environmental-friendly credentials. 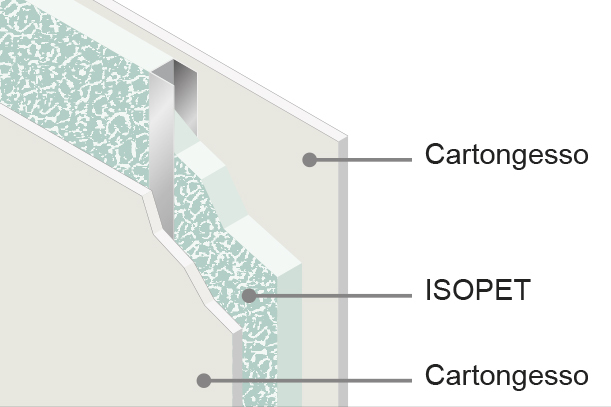 ISOPET is also completely recyclable, does not release toxic substances, dust or particulate potentially harmful to health or the environment, and is not subject to physical or chemical deterioration through time. 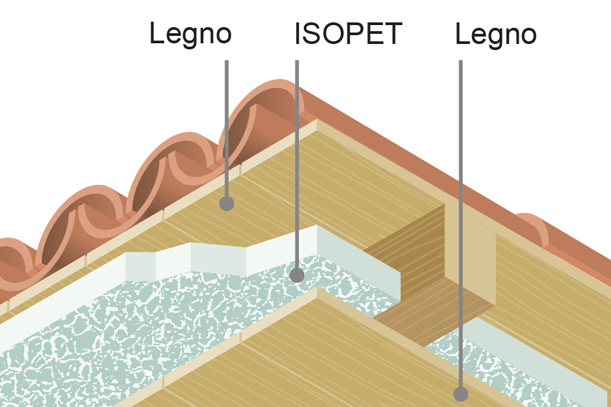 In fact, the ISOPET panel is made solely by means of a polyester fibre heat bonding process that imparts the required mechanical characteristics to the product without using chemical additives, adhesives or resins. 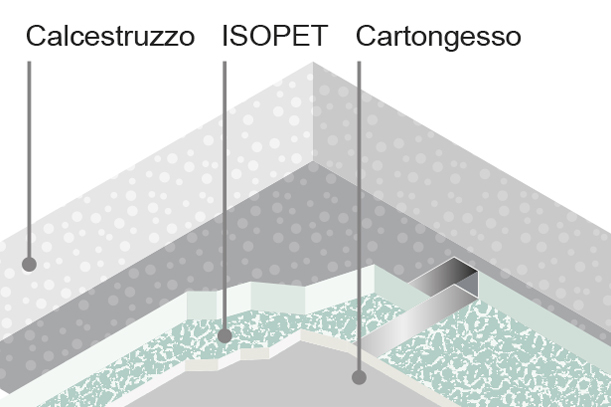 This guarantees that ISOPET's properties of being rot-proof, resistant to mould and bacteria and insects, and resistant to the majority of acids, salts and hydrocarbons, are maintained through time.